Welcome to Part One of starting a PBL project. 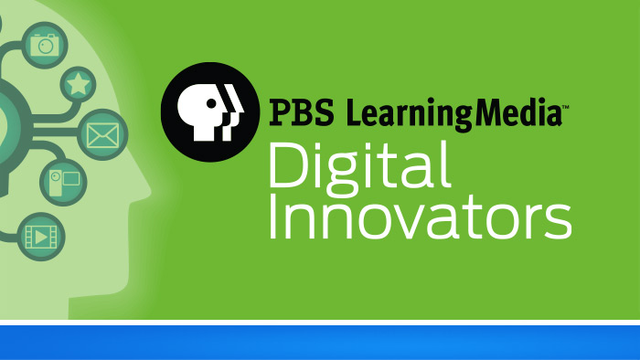 In this series, I wish to help educators see ways to get ideas for a PBL unit of learning. I often think that the hardest part in PBL is coming up with an idea. In Part One, I plan on giving you some thoughts that can help you get that idea… and in Part Two, I will provide some valuable web resources. I do hope you enjoy! Also, please take a moment to subscribe to this blog by RSS or email and join me on twitter at mjgormans . I have some great posts coming your way involving PBL, STEM, tech integration, and a continuing series on PBL! Most of all, thanks for being one of those over 30,000 visitors a month and over 14,000 subscribers. Also, remember that I can come to your conference or school district and provide engaging authentic, practical, and purposeful professional development . 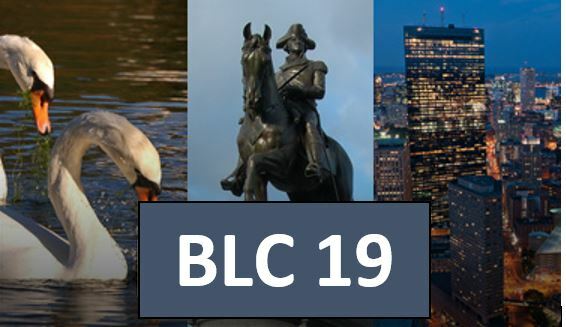 Please note I will be at BLC18 in Boston (July) and FETC19 Orlando (January) supporting teachers in PBL and more. See booking info and please contact me anytime at (mjgormans@gmail.com). Thanks so much. Michael Gorman (21centuryedtech). So… you are trying to come up with an idea for that PBL. Like I said earlier, this is often the hardest part of designing PBL. Of course, you have so many questions and possibly not enough answers! Great… you are on your road to coming up with a great PBL. Before helping with these concepts here are some ideas you should consider first. What standards are to be covered? – Remember that whether we are enthusiastic about standards or not, standards probably are a reality we must live with. In some ways is does keep us grounded. Should standards or project idea come first? – This always reminds me of “Who’s on First”. My answer, it does not matter as long as the standards and project align. I have done it both ways. Although, it is sometimes hard to ignore that local authentic idea that is in our community. Can you match it to those standards? How long should my project last? – Many times this depends on how often you spend with students each day. Elementary may be different from high school. You might be in a middle school that teams. I always recommend that the time period should match the standards. To much time spent could cause problems later in the year. Watch out for making the project so big that it engages all of us way outside the standards. Many times we plan something in the summer that we wonder what we were thinking once the school year starts. Start simple and you will find success! Can I use my past lessons in a project? – This is a great idea. Don’t reinvent everything. Please take time to honor those succesful learning opportunities we have provided from the past. That analog file cabinet can be a gold mine! This is actually part of making that project map (See prior series post). Does a PBL have to include more than one subject? – The answer is no… but making connections is good. In fact, in elementary almost any subject can connect to ELA. Sometimes those connections to the real world outside the classroom are more important then to another discipline. Now that we have defined some of these foundation concepts, we need to look to where we can get the idea for the project. Let’s explore! Borrow from the web or other professionals – This is always a great idea and sometimes a nice way to start. If there are ways to localize it… even better! The next post is for all of those that are looking for that opportunity to borrow from the web! As a side note… make sure you share back! Re-engineer a past project or lesson – So you have just learned about the PBL Gold Standards from BIE. Perhaps you have looked at my A-G Building Blocks. It might be time to look at that old project and consider ways to make it live up to authentic PBL Use or create vetting form based on these elements to determine the area of needs. Decide what elements of PBL that past unit must take on, and the make it happen! Perhaps you have a lesson that can actually be scoped out to become a small PBL. What a great place for those starting to begin their PBL journey! Think world to local problems – Take a moment to brainstorm some of these problems. Consider the skills needed to solve these problems. What a great $C’s connection! What questions might need to be answered to solve these problems? Look at you curriculum to see where this might fit. How can you integrate the questions, problems, skills, and content together to provide an authentic and real world learning experience? Read the newspaper or watch the news – In relationship to “world and local problems” this can be an eye opener. It is amazing what we can see in the news. I often tell people, the more local… the better! Perhaps your students might even come up with project ideas. Once again remember… how does it fit to the standards? Brainstorm Open Ended Questions – With a group, think of open-ended questions that also might integrate with curriculum. List as many as possible and then investigate how these might lead to a project, and an even possible Driving Question. Empower Students – Perhaps you are doing a Genius Hour. Remember that ELA can always connect to that. There could be a unit of study in the near future where students might come up with their own questions, which might lead to their own project. Remember to constrain this to standards. Observe your community – Take a drive, look at Google Earth, read and watch the news, listen to students and community concerns, discover community treasures, find out about unique community and business resources, and find out about area experts, heroes, and common folk. Take a moment to just imagine! Do you see connections with the standards? Connect with others – Get ideas from a conference, put hashtag “PBLproject” (or something like that) into a Twitter search, talk with other educators nearby or far away, check out sites using a PBL as a keyword along with your subject area. You are bound to get some ideas! Go beyond problem solving – So many times we feel PBL must solve a problem. Perhaps the PBL will share an idea, promote a local landmark, recognize a person or people, design an opportunity, serve the public, create a material or nonmaterial possibility, celebrate success, provide a unique story and opportunity, or best yet… bring people together. I am sure you can keep going with ideas! 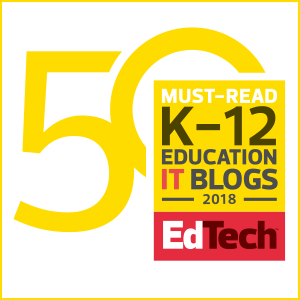 Look at what is being done – So many times I see teachers struggle with PBL while at the same time they are having students create something in a Makerspace, problem solving with Computational Thought, having students create using Design Thinking, inquiring with STEM (STEAM), or having students take part in a local or online competition. All of these are great opportunities to investigate what it might take to transform one of these initiatives into a PBL that is standards based. Perhaps that PBL is already or almost there! There are my 15 ideas and strategies! Perhaps I could come up with more, but I will leave that to you. Afterall this is PBL! I hope you can see that in many ways you might be right on the edge of PBL on the road to coming up with another great idea. In the next post I plan on providing some of those PBL resource links, if you have not already found them. Afterall, I hope to help you start your own inquiry. Getting better at PBL is known to do that. It really is engaging! Booking Info – It is time to think about your school or conference needs. Are you looking for a practical and affordable professional development workshop for your school or conference? I have traveled the country delivering PD relating to technology integration, PBL STEM, Digital Literacy, and the 4 C’s. I have delivered hundreds of workshops and presentations. Check out my Booking Page. Please contact me soon if you have an interest. My 2018 calendar is filling fast. In fact, it might be time to begin thinking about next January and 2019! Look for contact information at the Booking Site.